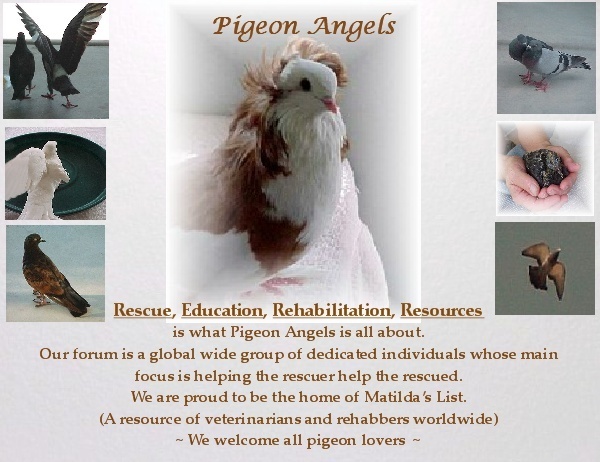 Priya - I forgot to add soemthing: what I have watched with all our PMV pijjies and the other sick ones - when they can see healthy pigeons eating they are immediately motivated to try the same. I have often watched Pina looking and observing the other when they picked up the seed and all of a sudden she tried it by herself. That's why I have put my hospital boxes into the window so that the sick ones were motivated by the one outside. I also got the feeling that watching the healthy pijjies outside was a big motivation for the sick ones inside to get healthy again, to be able to fly again. It motivated their will to survive and get strong again. I am convinced about this positive influence.